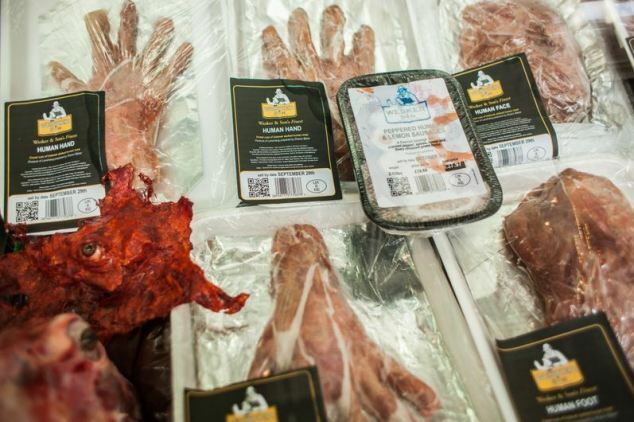 Human limbs on sale at Wesker and Son pop-up butchers at London’s Smithfield Market. The limbs may look eerily realistic but there are actually fashioned from animal meat and the butcher shop is part of a publicity stunt, designed to promote the release of the new video game Resident Evil 6. All the proceeds from the human part sales went to the Limbless Association, a charity for amputees and other people who have lost limbs; a clever strategy according to WWT which helped the stunt to remain within a ‘politicaly correct’ framework.